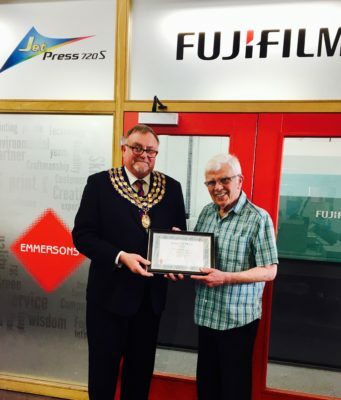 We are delighted to announce that Founder, Brian Emmerson, 79 has received the honour of being presented with an ‘Award of Merit’, for his services to printing for local and regional charities. Councillor Richard Davies visited us on Thursday 25th May to present Brian with his award. Every few years, the Mayor of Kenilworth selects a few individuals who have given exceptional service to the town in recognition of their outstanding achievement, bravery or aluable service to the community. The awards date right back to WWII, when the firemen who rescued victims of the air attacks at Abbey End were honoured. This award was only the 23rd to be presented in 70 years. Since our inception we have supported a host of local and national charities, as well as numerous community events. Those who have benefited over the years include the NSPCC, Myton Hospice, Kids Run Free, Kenilworth Rugby club, Two Castles Run, Friends of Abbey fields and a number of local schools. 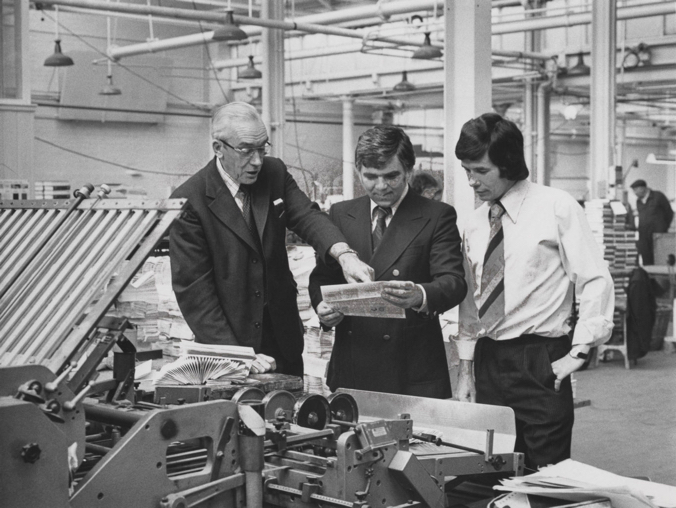 Brian Emmerson – “Our charity work is an important part of our company ethos and we feel very privileged to be able to help a number of excellent causes each year”.